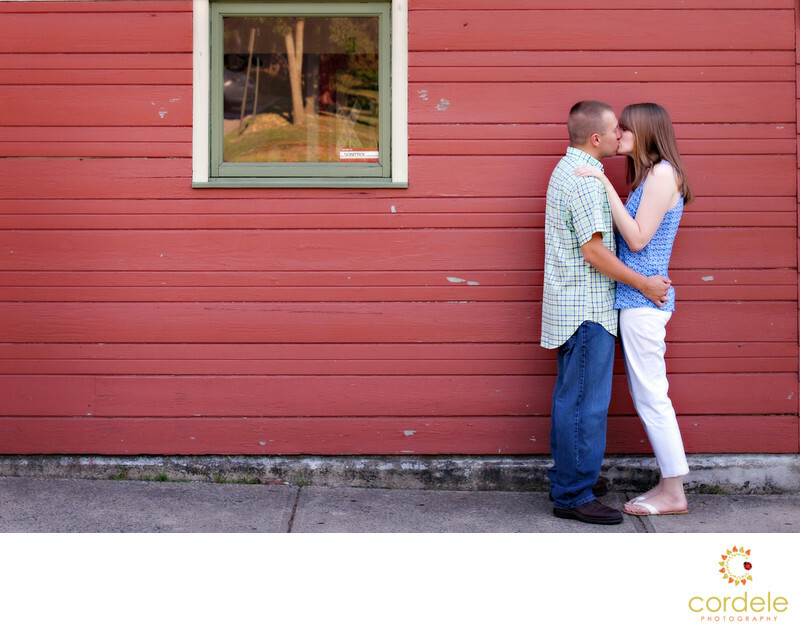 An engagement photo up against a red wall in Rhode Island. Love shooting in Rhode Island. The Roger Williams State Park is a place I don't get down to often, but it's so worth the trip! We found the normal spots but the bride and groom were drawn to this colorful wall and I had just the photo for it. In New England you don't find that many colorful walls, especially in the color read. Location: Rhode Island, Roger Williams State Park.